Timothy M Banks CIPP/C, CIPM, CIPT is a partner at nNovation LLP in Canada. His mission is to provide outstanding legal advice to clients regarding privacy, cybersecurity and ecommerce matters in a manner that is understandable, tuned to risk tolerances, and operationally practical. Previously, he was senior corporate counsel at Amazon Web Services where he negotiated enterprise agreements for cloud computing services with highly regulated companies in the banking, insurance, telecom and health sectors. 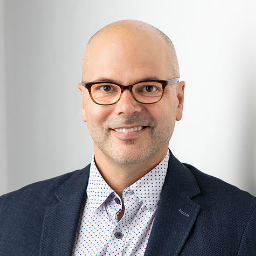 Prior to joining AWS, he developed and led the privacy and cybersecurity practice at Dentons Canada LLP and was part of the global leadership team for the privacy and cybersecurity practice at Dentons. He has contributed regularly to the Privacy Tracker and was formerly a KnowledgeNet Toronto chapter volunteer. He counts the IAPP as the most important professional organization of which he is a member. Public-sector record-keeping requirements: A turning of the tides? Managing the Wearable?What's the Fuss?